Three seater bench seating with top cross stitch details. Available in a wide choice of fabrics or wipe clean vinyl choices. Normal lead time is 7-10 days from order. 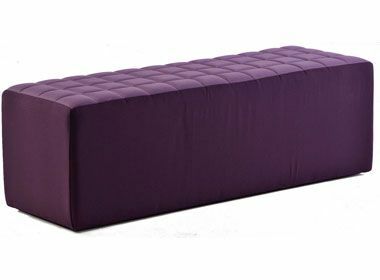 Modern and colourful bench option for use in up to date social interiors. Complete with cross stitiching on the top of the bench for extra style. Manufactured for a 7-10 working day lead time.